Evening all, first time poster here so go easy. I've been a coffee connoisseur for several years now however I've recently decided I want to take it a step further and start brewing my own. Like with any hobby, I conduct pretty extensive research before parting with my dollars and I think I've got a pretty good idea of what to look for, however I'm open to any input/suggestions; recognising you guys will likely know better. 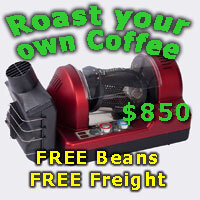 I'm thinking a pre-loved Rancilio Silvia and Mazzer Super Jolly grinder for as close to $1000 as possible; thoughts? EDIT: Is my budget realistic if considering a V3 or V4 Silvia? Last edited by Planeodds; 11th September 2018 at 08:56 PM. Welcome to the community! You’ll find a vast amount of info in these forums, plenty to satisfy your thirst for information. I’ve done a lot myself, we probably all have. My first thought with your suggestion is why the SJ? That’s a big grinder and may be overkill for your setup. But it is personal preference. I’m a bit aesthetic as well as functional and I like my gear to match. A SJ might make a Silvia look small. I’ve never owned a Silvia but there are many happy users. Some site sponsors sell 2nd hand gear, and the ‘for sale’ section on this site is good to keep an eye on. Thanks bud! The reason I'm eyeing this particular gear is I'm a firm believer of "Do it once, do it right". Cliche I know, but I want to have quality equipment and circumvent the inevitable upgrade bug come 1-3 years. Are you able to point me in the right direction RE sponsors' second hand gear? What sort of coffees do you normally drink? How often? Is your budget $1k total? Every machine and grinder have their own pros and cons, and people who like them or not. Hey pal, I drink a long macchiato or two daily. My budget is around $1000 (willing to stretch it up to $14-1500 if need be). This would be good. A PID on a Silvia is a huge advantage. Another option for a machine is an older Sunbeam EM6910 (with the round red dot drip tray full indicator rather than the line shape) if you can find one in good condition. What part of the country are you in? So I started with a Silvia v3 and a rocky grinder. Within weeks I changed to a super jolly. I removed the hopper from the SJ immediately and loved it. It didn’t look too big against the Silvia. After a few months of owning the Silvia I started on the path of modifying it. First I fitted pressure gauges and then PID and the list went on. Overall is was a brilliant combination and one I cant imagine you will regret if you choose this hardware. My first machine was a silvia and a rocky grinder, that was over 10 years ago. l still use the rocky grinder and gave the silvia away as after 10 years it owed me nothing and needed some work . Your mission should you chose to accept it, is buy brand new and take excellent care of it, in 2 years the money you saved today wont even be remembered. Buy new mate its all shiny and new that way. I will have a spare "round button" 6910 as soon as my Decent DE1 arrives (due circa end of October). Both my 6910s are in (very) good condition. PM me if interested. I will also be delighted to get rid of my 4 year old SB7000 (quieter than the 6910 but not as good in the cup or to froth milk) when my new build is finished. I probably should complete the cull and move my 2 group La Pavoni and Bo-ema RR45 on and just keep one of my 6910s as a spare. FYI I had a Silvia for 9 years - good reliable machine (as long as you do not run it out of water - immediate boiler destruction - the cause of most Miss S demises), however it will not pull a shot and steam milk at the same time. If that is important for you, you will need to increase your budget substantially. Hey guys, thanks for the input. Reading further into entry-level singler boiler units like the Silvia and Gaggia Classic, I've decided they're a bit too manual for a novice. I want to avoid having to do things like temp surfing and manually priming/refilling the boiler. With this in mind, I think I may save a bit more and either get a more user-friendly single boiler unit with an inbuilt PID and OPV (Lelit PL41TEMD), or spend a bit more again for an entry-level HX (Nuova Simonelli Oscar II) and add an OPV. Any more thoughts? EDIT With regards to a grinder, I may drop it down to a Mazzer Mini E (not sure on Mod A vs B yet). I started off with a Gaggia Classic nearly 10 years ago, and just upgraded to a Rocket. I didn't find the Gaggia a problem for a starting point. You will soon work out your way of pulling the shot and steaming milk, and once you have that in your head, it is dead easy to make coffee after coffee after coffee. For a first timer, I would recommend you start with something simple. Worry about OPVs and other mods down the road. or if you want to avoid upgrading in 1-5 years and risk guessing answers to the questions above now before you know the answers and then change equipment again anyway in a few years if you guessed the answers incorrectly. My advice is to do what I do when I buy tools that aren't for work; by the basic one first then if and when it breaks or can't do what you want you'll be better placed to make an informed decision on a more expensive one. My advice is to do what I do when I buy tools that aren't for work; by the basic one first then if and whern it breaks or can't do what you want you'll be better placed to make an informed decision on a more expensive one. I think the Breville has far and away the best bang for my buck to start out with! So Milkshake, any decision made? Did you get the Breville, and how are you finding it?